Alta Schutte is Professor of Physiology, and funded by the Department of Science and Technology as the South African Research Chair (SARChI) in the Early Detection and Prevention of Cardiovascular Disease in South Africa – hosted by the Hypertension in Africa Research Team (HART) at the North-West University. She is also the Unit Director of Medical Research Council Extramural Unit for Hypertension and Cardiovascular Disease. hypertension, and ultimately the prevention of cardiovascular disease in the black South African population. She has published over 250 papers on the topic of hypertension, and supervised over 70 postgraduate students. She has been acknowledged for her work as the winner of the Distinguished Woman Scientist in the Natural, Engineering and Life Sciences award, presented by the South African Department of Science and Technology in 2017; the NSTF South 32 TW Kambule Award (2016/2017); the British Association Medal from the Southern Africa Association for the Advancement of Science (S2A3). She was also the recipient of the Meiring Naude Medal from the Royal Society of South Africa, and the African Union Kwame Nkruma Regional Award for Scientific Excellence 2019. She serves as Editor of the European Journal of Preventive Cardiology and on the Editorial Board of established cardiovascular journals, such as the Journal of Hypertension, Journal of Clinical Hypertension, Journal of Human Hypertension, Current Hypertension Reports and Current Obesity Reports. 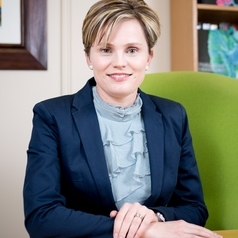 She is one of 20 founding members of the South African Young Academy of Science (SAYAS); the immediate Past President of the Southern African Hypertension Society (SAHS); and President of the International Society of Hypertension (ISH).